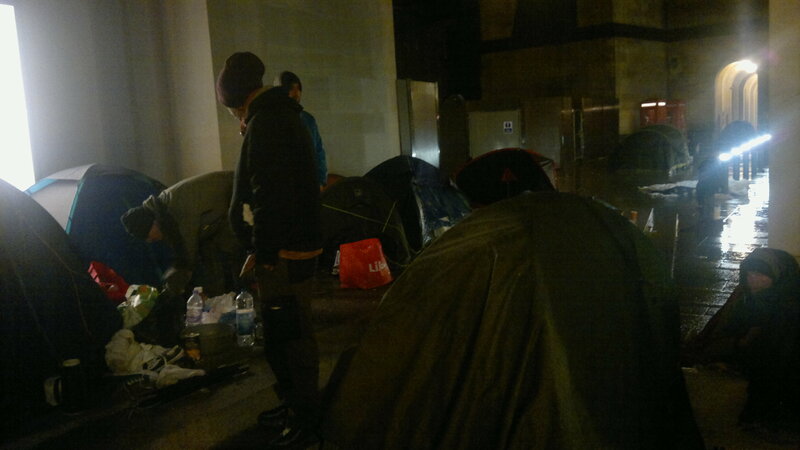 It was six weeks ago I first went to the Homeless Rights of Justice Manchester camp, based then at St Peter’s Square. The [Salford] Wall isn’t over- but the city of Manchester is in a state of emergency. There is a battle being waged- it isn’t abstract. It is very, very real. This country is and has been in a state of civil war. It is a slow genocide, starting with the homeless and the poor. It’s impossible for me to focus my energies on rebuilding a wall when actual lives are at stake. 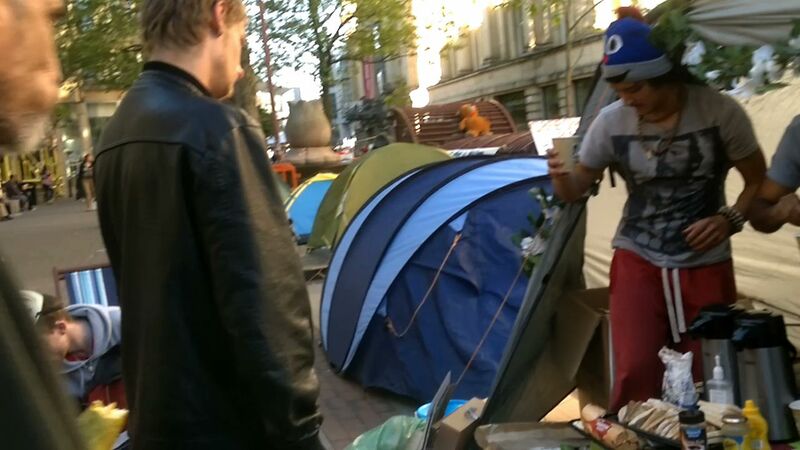 The actions of Manchester City Council in response to the protest camp have amounted to nothing less than murder, committing and willing people to die. Sickeningly, it is for the purposes of profit. There is, and has been, widespread systematic abuse. I’ve shed and seen too many tears of despair and sadness in these last weeks while providing on-the-ground support. There is nonetheless something life-affirming within this all- from members of the camp alongside the outpouring of public support. Someone was saying the other day, there have been 1,400 prophets on this earth since Jesus Christ; none of them were able to change this world. I replied it that maybe it’s not down to one individual- that it will only happen if it is done by all. It is happening. My own awakening is that the last three years have been preparing me for this. I will stay until the bitter end. For me, as an artist, it is about the production of truth- of resistance, love, strength and possibility in the face of tyranny and horror. We will only overcome in common solidarity. Much of these last few weeks have been spent living in paranoia and fear- as the camp has faced attack from without and within. It is the truth of life in the streets. I have only emerged stronger and less naive. The [Salford] Wall will be rebuilt- and on the land where it will stand there will be no exploitation, no misery, no violence, no abuse, no greed. It is an expression to stay in perpetuity. As the homeless protest progresses and becomes more stable (inroads with the Council are already being made), I will gradually be returning to The [Salford] Wall. There is a humanitarian crisis happening in this city which far too many have become too desensitized to see. Until the city council chooses to do the right thing, the homeless need direct support. While this battle is being waged, donations of food and supplies are very gratefully received- and, as urgently, for the people of Manchester to speak our support. 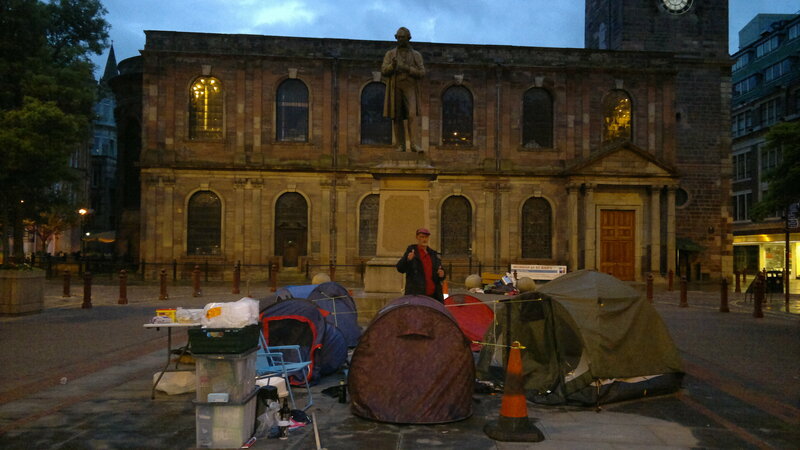 6 July: There are currently 3 main and roughly autonomous entities involved- the camps at Castlefield and St Ann’s (in communication but independently run), alongside Homeless Rights of Justice (which as of 18 June is not directly involved with the camps).